Ryan and Julia Minson danced competitively from 1997 to 2006 winning numerous collegiate, and regional titles in International Standard. After reaching the quarter-final of the US Open DanceSport Championships they retired from competitive dancing to raise a family and pursue their non-dancing careers. Ryan works full-time as a Business Analyst eBay and Julia is working on her PhD in Social Psychology at Stanford. Launching the Mad Hot Dancesport program allowed the Minsons to stay involved in the dancing community and share a sport they love with kids who would otherwise be unable to have exposure to the fun, exhilaration and challenge that ballroom dancing brings. Morgan currently competes with her partner at the Championship level in International Standard. She and her dance partner top the national collegiate circuit, are winners or finalists in local competitions, and place at the top of the quarter-final in national competitions including the USA Dance Nationals, the NDCA Nationals, and the Ohio Star Ball. When she's not dancing, Morgan is working toward her PhD in Communication at Stanford University. Morgan supports many kinds of ballroom and partner dancing in the Bay Area. She has been an officer on college ballroom teams at UC Berkeley and Stanford University since 1999. 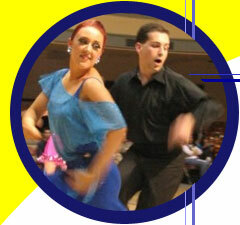 She loves teaching and is excited to have the opportunity to contribute to Mad Hot DanceSport.